1. That the lunar eclipse and the solar eclipse are natural occurrences, because the scholars of astronomy know of their occurrence a number of days beforehand and are able to predict their extent, their beginnings and their end precisely. But why are the servants afraid, when the eclipse is something natural and well known before it happens? And he ordered us in these circumstances to make Takbir, to free slaves and to give charity. All of this is prescribed at the time of an eclipse: prayer, remembrance, seeking forgiveness, giving charity, freeing slaves, fear of Allah – the Al-Mighty, the All-Powerful – and to make them beware of His punishment. That it is a Sign whose occurrence is known through calculation does not negate that it is a cause for invoking fear of Allah the Almighty and a means of making people beware of Him, the Most Glorified, Most High. For it is He Who makes the Signs and organizes their causes, like the rising and setting of the sun at specific times and likewise the moon and the stars which are Signs from among the Signs of Allah, the Most Glorified, the Most High. 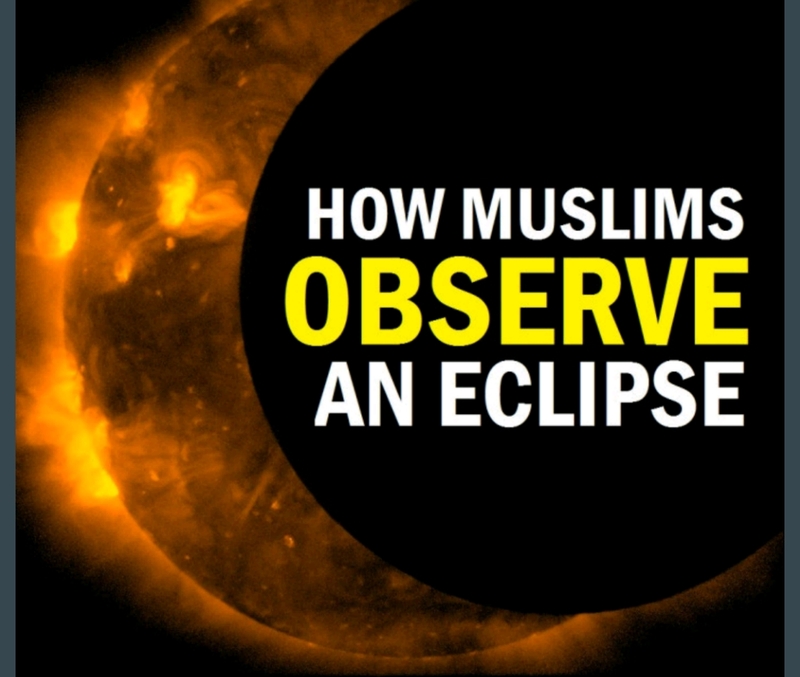 The fact that Allah has made causes for them, as mentioned by the astronomers, by which they know when eclipses occur, does not negate them being means of invoking fear and warning of (the punishment of) Allah, the Almighty, the All-Powerful. Likewise, all of His clear Signs, such as the sun, the moon, the stars, the heat, the cold – all of them are Signs in which there is fear and warning against disobeying Allah after He has given these Blessings. And people are encouraged to beware of Him ( i.e. His Punishment) and to fear Him, the Most Glorified, so that they remain steadfast in obedience to His Commands and avoid what He has forbidden. Slaves of Allaah! You are approaching virtuous days; they are the best days as the Prophet sallallaahu ‘alaihi wa sallam said in an authentic hadeeth: “The best days in this life are the (first) ten days of Dhu’l-Hijjah”. Furthermore, Allaah swore by them in His Book, and when Allaah swears by something, it is a reflection of its great importance. Allaah says that which translates to: “By the dawn. And the nights of the ten days” (Al-Fajr: 1-2). These are the first ten days of Dhu’l-Hijjah and they include the day of ‘Arafah, about which the Prophetsallallaahu ‘alaihi wa sallam said: “There is no day in which Allaah Frees more of His slaves from The Fire than the day of ‘Arafah” (Muslim). These ten days are concluded by the day of An-Nahr (sacrifice); then follows the day of Al–Qarr. The Prophet sallallaahu ‘alaihi wa sallam said: “The greatest days in the scale of Allaah are the days of An-Nahr and Al-Qarr” (Abu Daawood). The day of An-Nahr is the major day of Hajj and the day of ‘Eid; the day of Al-Qarr is the following day. Virtuous deeds have a magnified position during these days. The Prophet sallallaahu ‘alaihi wa sallam said: “There are no days in which righteous deeds are more beloved to Allaah than the (first) ten days of Dhu’l-Hijjah” (Ad-Daarimi), in another narration the companions asked: “Not even Jihaad for the sake of Allaah?” he sallallaahu ‘alaihi wa sallam said: “Not even Jihaad for the sake of Allaah, except for a man who loses (sacrifices) both his wealth and life in a battle” (Ahmad, Abu Dawood, Ibn Maajah, At-Tirmidhi). What great virtues and what a great season! What an opportunity this is to collect greater rewards than that of Jihaad, which is the best deed after sound belief and punctual Salaah. This season represents a wonderful opportunity for those who want to compete in collecting rewards and a miserable loss for the idle, who shun such opportunities. Slaves of Allaah! Compete for and rush towards the forgiveness of Allaah and paradise which is as wide as the heavens and earth and do not slacken and be unhurried, because the Prophetsallallaahu ‘alaihi wa sallam said: “Being laid-back is best in every matter except for good deeds” (Abu Daawood & Al-Haakim). One must compete and march forward when it comes to working for the hereafter as Allaah says that which translates as: “… So for this let the competitors compete” (Al-Mutaffifeen: 26) and also, “…So race to (all that is) good…” (Al-Baqarah: 148). 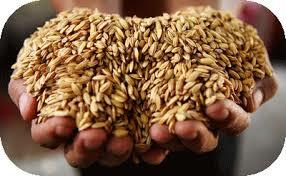 In this season, the roads leading to goodness are numerous, so do not miss out on any of them. The intelligent ones are those who exhaust themselves during this season to gain abundantly; you see many of them joining their days with their nights, continuously doing righteous deeds and hardly sleeping in order to get the most out of this season. On the other hand, you see those who put all their efforts into the attainment of worldly gains. The sad fact is that the result of all this effort would be, at most, the doubling of their capital – if indeed they do not actually lose it. As for the wise believers, nothing is dearer to them than increasing their efforts and righteous deeds that please the Lord, get them closer to Him and elevate their ranks; Allaah told us what pleases Him in His Book and through His messenger; Allaah will guide those who truly wish for goodness (if He Wills). Salaah is one of the ways leading to goodness and something that Allaah loves. The slave must be keen to perform it in congregation as Allaah says that which translates to: “…And bow (in rukoo’) with those who bow” (Al-Baqarah: 43), and the Prophet sallallaahu ‘alaihi wa sallam said, “He who hears the Adhaan (call for Salaah) and does not respond, his Salaah is not accepted, except with the congregation, unless he has a (valid) excuse” (Ibn Maajah) The excuse is either fear, sickness or rain. A slave of Allaah who is guided would supply himself with optional Salaah in these ten days, because it is a path to goodness and something that Allaah loves. Abu Hurayrah narrated that the Prophet sallallaahu ‘alaihi wa sallam said: “Salaah is the best thing that one can do, so perform as many as you possibly can” (At-Tabaraani) and he sallallaahu ‘alaihi wa sallam also said: “Two light rak’ahs which you may think as insignificant to add to you deeds, is better for you than possessing the whole world” (Ibn Al-Mubaarak) he sallallaahu ‘alaihi wa sallam also said, as narrated by Abu Hurayrah, “The son of Aadam could not do anything more beneficial for himself than Salaah, reconciliation (between Muslims) and being well mannered” (Al-Bayhaqi and others). These were three examples of good deeds that lead to righteousness, Salaah, reconciliation and being well mannered which are better than anything else that the son of Aadam can do, yet you see some people slight the performance of obligatory Salaah, let alone optional Salaah; you see them instigating disputes between people; and you see ill-mannered people who have lost out on the great reward for having a good character. So let us repent to Allaah from our sins, reform our situation and improve our manners. A woman was praised in the presence of the Prophet sallallaahu ‘alaihi wa sallam for her Salaah, fasting and other good deeds; her only flaw was that she harmed her neighbours. Upon hearing the praise, the Prophet sallallaahu ‘alaihi wa sallam said: “She is from the people of the Fire” (Ahmad). In reality, the guided ones are those who do all those things which please Allaah and refrain from all those things that cause His wrath, as some of the scholars said: “Wisdom is to perform what you are obliged to, in the correct manner and on time; he who is granted wisdom has attained a great deal of good”. Some of the Ahaadeeth which mention the virtues of optional Salaah are as follows: “Prostrate as much as you can, because whenever you prostrate, Allaah elevates your rank by a degree and wipes out a sin from your record” (Muslim) and in another narration: “Whenever a slave prostrates to Allaah, Allaah writes a reward for him, wipes out one of his sins and elevates his rank by one degree; so prostrate as much as you can” (Ibn Maajah). The way to perform Salaah is as the Prophet sallallaahu ‘alaihi wa sallam described: “The night Salaah is done two (rak’ah) at a time” (Al-Bukhaari) and in another narration: “The optional Salaah at night and during the day is done two Rak’ah at a time” (Ahmad, Ibn Maajah and others). Slaves of Allaah! Another of the paths to righteousness and fields of competition is reciting the Qur’aan. The Prophet sallallaahu ‘alaihi wa sallam said: “The best amongst you are those who learn the Qur’aan and then teach it” (Bukhaari) he sallallaahu ‘alaihi wa sallam also said: “He who recites a letter from the Book of Allaah will get a reward and each of these rewards will be multiplied ten times. I do not mean ‘Alif Laam Meem’ is one letter, but rather ‘Alif” is a letter, ‘Laam is a letter and ‘Meem’ is a letter ” (At-Tirmidhi) and he sallallaahu ‘alaihi wa sallam also said: “If one of goes to the masjid and learns a verse or reads two verses from the Book of Allaah, is better for him than owning two she-camels, (reading) three are better than (owning) three, (reading) four are better than (owning) four and so on” (Muslim) and also,“Let him who wants to attain love for Allaah and His messenger read from The Book of Allaah”. Another of the fields of goodness is fasting as the Prophet sallallaahu ‘alaihi wa sallam encouraged us to “Fast on Mondays and Thursdays” (Ahmad & Nasaa’i) and “Fast the day of ‘Arafah” (Muslim) also: “Fast like the Prophet Daawood (who fasted every other day)” (Bukhaari & Muslim). I do not know of any specific reference that relates to any special virtue for fasting these ten days in particular, but, having said this I would add that one should still fast during these days because of the general texts encouraging good deeds during these ten days. Another way is giving in charity; ‘Abdur-Rahmaan Ibn Saburah, may Allaah be pleased with him, narrated that the Prophet sallallaahu ‘alaihi wa sallam said: “(Every day) An Angel calls out in the heavens saying, ‘O Allaah! Bless and compensate for the wealth of the one who spends (for your sake) and ruin the wealth of the one who holds back (from spending)’” (At-Tabaraani) Also he sallallaahu ‘alaihi wa sallam said to Bilaal, may Allaah be pleased with him: “Spend (charitably) O Bilaal! – and do not fear that Allaah will decrease your provision (due to your spending)” and he sallallaahu ‘alaihi wa sallam addressed Asmaa’, may Allaah be pleased with her, saying: “Spend (charitably) and don’t count (i.e. don’t be cautious in spending in this manner) otherwise your provisions will become limited and don’t hold back (from spending in charity) otherwise your provisions will be held back” (Bukhaari & Muslim) The Messenger of Allaah sallallaahu ‘alaihi wa sallam also said: “I swear that these three things are true: That giving in charity does not decrease the wealth of the slave …..…” (Ahmad & Tirmidhi). Giving in charity enables one to be among the seven categories of people who will be protected under the shade of the Throne of Allaah; regarding this, the Prophet sallallaahu ‘alaihi wa sallam said: “… and a man who gave charity so secretly that even his left hand would not know how much his right hand had spent” (Bukhaari & Muslim) also, “Charity given in secret extinguishes the wrath of Allaah”. One of the best forms of charitable giving is to give someone a drink of water as the Prophet sallallaahu ‘alaihi wa sallam said: “The best form of charity is giving someone water (to drink)” (Ahmad, An-Nasaa’i and Ibn Maajah). O slaves of Allaah! One of the best deeds in these days is to initiate Hajj as a way of drawing closer to Allaah and fasting the day of ‘Arafah for those who are not performing Hajj. Allaah willing we will talk about the virtues of Hajj in another Khutbah. Offering a sacrificial animal is also one of the most virtuous deeds that one can perform. The Prophet sallallaahu ‘alaihi wa sallam said: “He who does not offer a sacrifice while being financially able to, let him not come close to our masjid (i.e. pray with us)” and he sallallaahu ‘alaihi wa sallam also said: “When the ten days (Dhu’l-Hijjah) have begun and one of you intends to offer a sacrifice, then let him not cut any of his hair or remove anything from his skin” (Muslim) in another narration he sallallaahu ‘alaihi wa sallam said: “Let him not cut anything from his hair or nails until he sacrifices” (Ad-Daarimi). These are examples of virtuous deeds, so take advantage of them; beware of laziness and neglect and know that Allaah Has favoured certain seasons over others, so let us take advantage of these opportunities and increase our righteous deeds; perhaps Allaah will forgive us for our sins and shortcomings. 1) The first ten days of Dhu’l-Hijjah are the most virtuous days of the year. 2) Virtues of performing good deeds during these days and the necessity of utilising time. b. Recitation of the Qur’aan. 4) Sacrificing Udh-hiyah, and the Sunnah regarding it. The hadeeth is proof that the servant is obligated, after having eemaan in Allaah, to persevere and be steadfast upon obeying Him by performing the obligatory acts and avoiding the prohibited ones. This is achieved by following the Straight Path, which is the firm Religion without drifting away from it, to the right or to the left. If the Muslim lives through Ramadhaan and spent his days in fasting and his nights in prayer and he accustomed himself to doing acts of good, then he must continue to remain upon this obedience to Allaah at all times. This is the true state of the slave, for indeed, the Lord of the months is One and He is ever watchful and witnessing over his servants at all times. Indeed, steadfastness after Ramadhaan and the rectification of one’s statements and actions are the greatest signs that one has gained benefit from the month of Ramadhaan and striven in obedience. They are tokens of reception and signs of success. If the fasting of Ramadhaan comes to an end, then indeed the voluntary fasting is still prescribed throughout the entire year. If standing in prayer at night during Ramadhan comes to an end, then indeed, the entire year is a time for performing the night prayer. 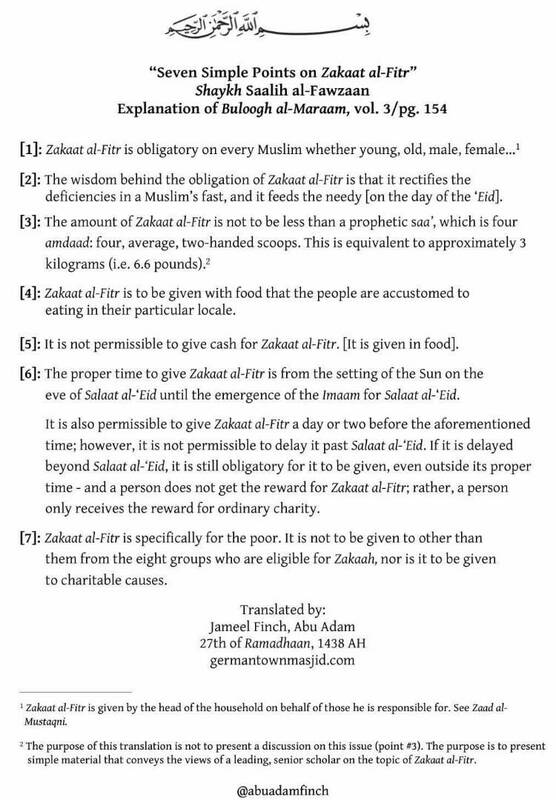 And if the Zakaat-ul-Fitr comes to an end, then there is still the Zakaah that is obligatory as well as the voluntary charity that lasts the whole year. This goes the same for reciting the Qur’aan and pondering over its meaning as well as every other righteous deed that is sought, for they can be done at all times. From the many bounties that Allaah has bestowed upon his servants is that He has placed for them many different types of righteous acts and provided many means for doing good deeds. Therefore, the ardor and zeal of the Muslim must be constant and he must continue to remain in the service of his Lord. It is unfortunate to find that some people perform worship by doing different types of righteous deeds during Ramadhaan. They guard strictly upon their five daily prayers in the masjid, they recite the Qur’aan a lot and they give in charity from their wealth. But when Ramadhaan comes to an end, they grow lazy in their worship Rather, sometimes they even abandon the obligations, both generally, such as praying in congregation, and specifically, such as praying the fajr prayer. And they commit forbidden acts such as sleeping over the time of prayers, indulging in places of foolishness and entertainment, and mingling in parks, especially on the day of ‘Eed. Obtaining help from these evils is only through the grace of Allaah. Thus, they demolish what they have constructed and destroy what they have established. This is an indication of deprivation and a sign of perdition. We ask Allaah for His safeguarding and protection. Indeed, this type of people take the example of turning in repentance and ceasing from committing evil deeds as something specific and restricted to the month of Ramadhaan. And they stop doing these (good) acts when the month stops. Thus, it is as if they have abandoned sinning for the sake of Ramadhaan, and not out of fear of Allaah. How terrible is the state of these people, who do not know Allaah, except in Ramadhaan! So be warned and again be warned of turning backward after having attained guidance of going astray after persevering. And ask Allaah to provide you with duration in doing righteous deeds and continuity in performing good acts. And ask Allaah that He grant you a good end, so that He may accept our Ramadhaan from us.